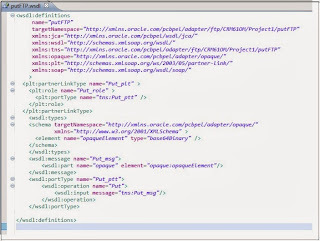 Oracle OSB provides the option to create JCA adapters to connect to different resources through Proxy Services and Business Services. 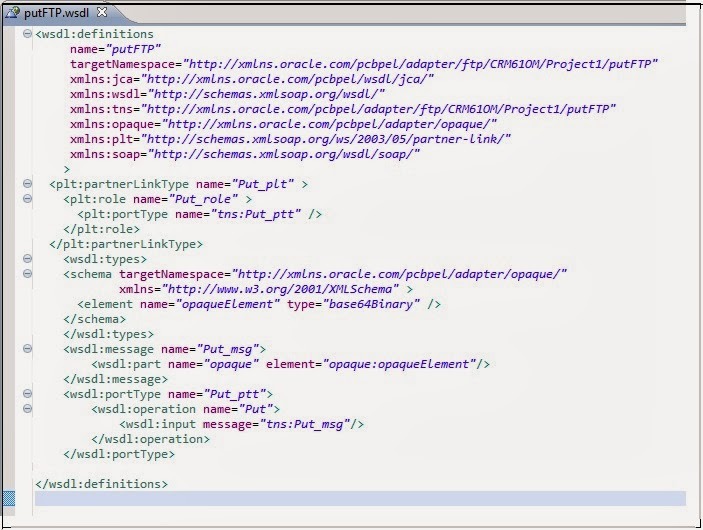 The JCA adapter needs to be created through JDevelper, JDeveloper creats a Abstract WSDL and a JCA adapter file. When creating Busines Service through eclipse, eclipse provides the option to generating the service by right clicking the JCA file. But through OSB console, we will not be able to generate the Business Service with the Abstract WSDL(WSDL Web Service) because it will not have any binding or service defined.